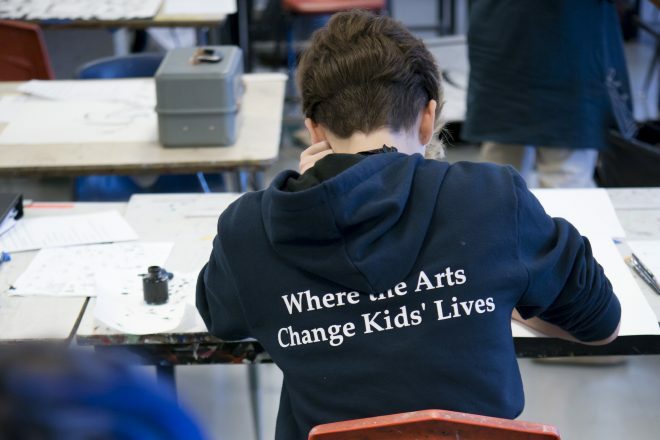 Since 1979, Baltimore School for the Arts has prepared thousands of Baltimore’s children to build meaningful lives. Many of BSA’s alumni have gone on to play a vital role in the cultural and educational fabric of our city. BSA depends on our donors to supplement public funds and to provide the resources to continue our mission of transforming lives. Inspired by the leadership of Patricia and Mark Joseph along with the full support of our Board of Overseers, we recognized the need to build an endowment to create long-term stability for the school. The public dollars once promised for arts programming at BSA are at risk and the need for private support is now critical. If you’d like to make a difference and help ensure our future, please reach out to Caroline Senatore.